Innovation and the ability to change is a key ingredient for quality work. In nanotechnology you might find the idea that gives you the lead. Keep your eyes open for the unexpected, look for the new possibilities nanotechnology provides and be sure to seize business opportunities, are three good advice to bear in mind. Maria Strömme, Professor in nanotechnology at Uppsala University. 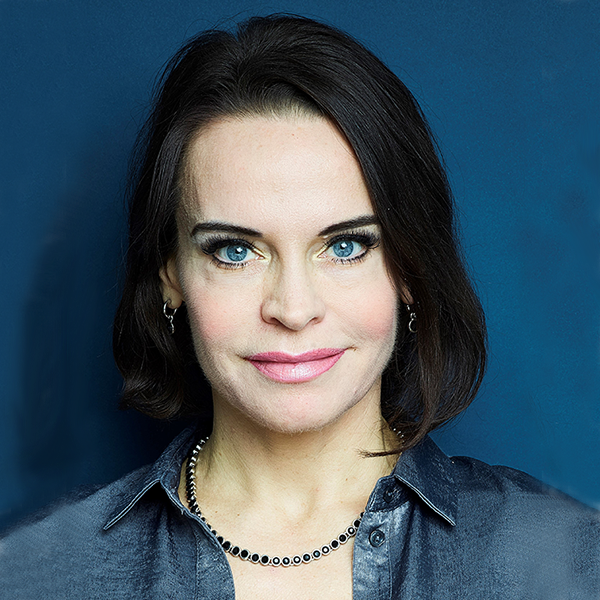 Maria Strømme is Professor of Nanotechnology at the University of Uppsala. When she obtained the division chair in 2004 she became the youngest technology chair professor in Sweden. She has gained great popularity in Sweden for her passion for nanotechnology and has participated in interviews in magazines, radio talks and talk shows. – I want to raise awareness about the possibilities of nanotechnology so that Swedish companies do not lose sight of the business opportunity. That is my main driving force for going public with my research, Maria Strømme says. In her research, Maria Strømme is focused on functional materials – to change the structure of materials in order to tailor them to new functionality. This can be of practical use in many areas that we face challenges today – in energy supply, health care and textile production – and can thus be used to improve the quality of life for many people. A few years ago, she and her research group at the University of Uppsala gained great attention all over the world for the finding of the new material Upsalite that has a unique ability to absorb moisture. When asked about innovation, she explains that the aim of her work is to solve problems, not to produce new products. An innovation can however be a side effect from that work and it often comes from the unexpected. That was what happened when her research group discovered Upsalite. – We were trying to create a nanoporous material that could help the body absorb drugs that are difficult to absorb via the oral route. In that work we suddenly found that we had come across a completely new material with unique features. Ever since she was a child, Maria Strømme has had an interest in logic and a gift to see and understand structures. In nanotechnology she sees great opportunities to build a more sustainable world. – We have now come to the point that we begin to provide materials with exactly the characteristics we want them to have. That means that we also get the tools we need to convert to a sustainable development. Nanotechnology can in other words be of use in every industry where materials are involved – in the pharmaceutical, textile and forestry industry, in energy, construction and health care, for diagnosis and better drugs. In other words, any business that wants to lead the future should give nanotechnology attention. There is a rapid development in the field today, and the companies that take action in nanotechnology will have an advantage, according to Maria Strømme. This is also the reason why she wants to raise awareness of the field. New findings can be relevant for materials that you use in your business today, or completely change the market. By combining your knowledge and business model with new findings in the nano area you might take advantage of the technical development. – Keep your eyes on the progress on nano inventions and look for opportunities that can be relevant in your line of business, she advices. Today we can already see the first fruits of nanotechnology. Apart from Upsalite, Maria Strømme and her research team has discovered an environmentally friendly battery containing cellulose and a polymer that can be derived from biomass and that has extremely fast charging capacity. When asked to point out some of her favorite innovations apart from her own, Maria Strømme tells about new drugs that can pinpoint cancer cells, which will make great difference in the fight against cancer. Another exciting development is the remote controlled nano cars that recently competed in the first ever nano car race. They can also be used for killing cancer cells. But, she points out, the biggest impact from nanotechnology so far comes from something that we all use every day – transistors in computers and mobile phones. – The computer industry and the need for electron microscopy made way for research in many other areas. That laid the foundation for all the work we do today. Maria Strømme has a great confidence in the future. Thanks to nanotechnology we will have the tools to solve many of the great challenges we see today. However, there is no time to lose. – There is a sense of urgency, this will not happen by itself. In order to realize the possibilities that the nanotechnology provides we need to take action. We need to explore new innovations, we need companies that are able to see the business opportunities and investors that are willing to take the risks in order to succeed.